Marketing and advertising have changed over the past decade or so. Television ads are muted; internet users can block advertising. And anyone who is willing to consider reading, watching, or listening to an online advertisement demands to be captured by a compelling and engaging ad or marketing campaign. This is the challenge for marketers – how to capture the attention of the right audience at the right time and be so compelling that viewers stop and take notice. The answer is three-fold. First, create that compelling copy; second, find out where the right audience is and target them; third, do the analytics and determine what is working and what is not. These three steps are not new to marketing. And now that social media has entered the ad campaign environment, small businesses can compete successfully with larger ones, so long as they have the right tools and creative staff. In the context of Facebook ads (or any social media platform for that matter) and chatbots, there are some key copywriting tips that will bring greater success. If you are re-targeting a previous viewer or customer, then the value will probably be a new offer (such as a discount) and that should go at the bottom of the image. Research supports this. Consumer Acquisition tested 100,000 Facebook ads and determined that this works best. Focus on one message only and make it short and snappy. If you are targeting as you should, your message will differ based upon those you are contacting for the first time and those who are being re-targeted. 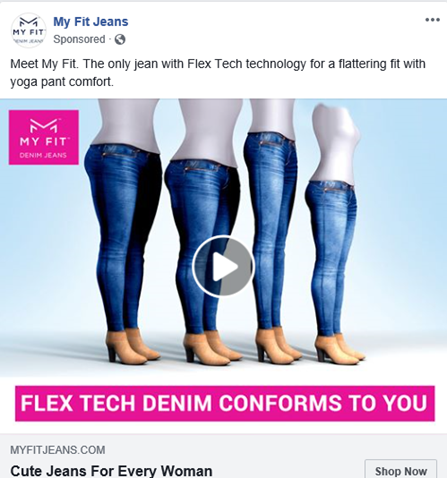 You may be using the same image, but the copy must differ accordingly. Messages that work either “call out” to an audience, stating exactly who the message is for (“If you are planning a Caribbean cruise, check out these prices”) or ask questions to which the viewer can relate (“Are you hating your crepy skin?”). People with smartphones are very much used to using Facebook Messenger to communicate with their friends. And most are familiar with the personal assistants they can use to ask questions – Google, Siri, etc. Now Facebook allows businesses to install messenger chatbots on their pages, in order to have automated conversations with people. In fact, there are now more than 100,000 bots on Messenger. Chatbots have a number of uses – businesses can set up searching by menus or keywords that will move users toward conversions that they want. Users can type in keywords related to information they want or questions they have or use the menu to select topics such as getting directions, setting appointments, or getting answers to frequently asked questions. The bot uses conversation trees to respond with text blocks that then reduce the paths until the user finds exactly what they want. 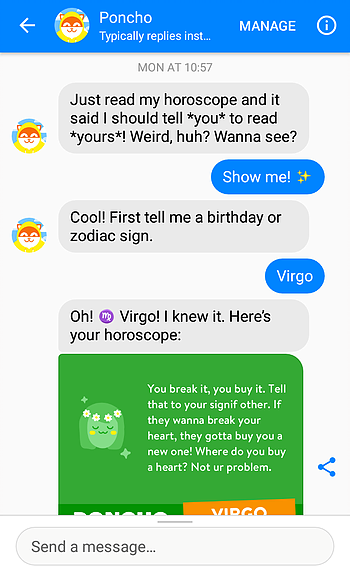 The most popular chatbots are those that have snappy names and that engage with users in fun and entertaining ways. 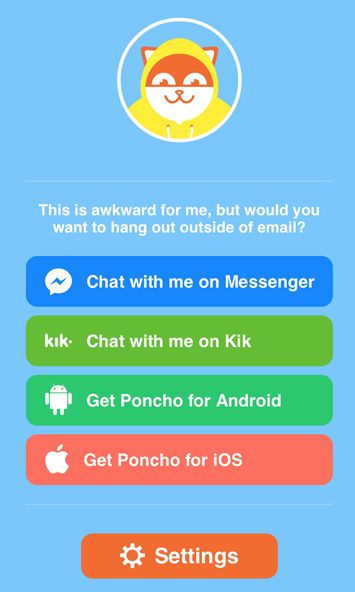 One of the most popular chatbots is Poncho, the Weather Cat. 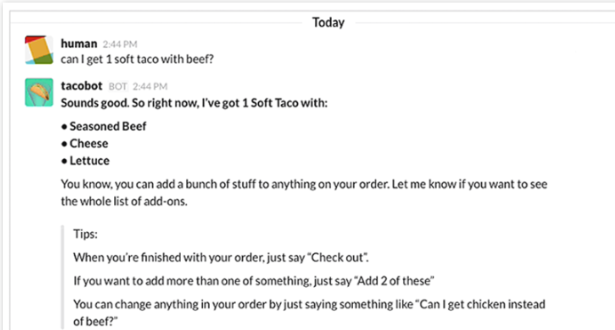 Not only can users get daily or weekly forecasts, but they have fun while doing so. First-time users may not really know how to get started, so provide some prompts to help them along. Poncho begins by saying that he will give weather updates and forecasts and then asks the user where he lives. Another prompt is to ask how often a user may want an update – daily? weekly? Essay Supply: This is a writing agency with an entire department of creative writers with a history of success in entertaining copywriting. It will be easy to know if your chatbot is growing in popularity by tracking visits and shares. If you are not getting the traction you want, go back and re-write your scripts until you are. See where visitors are bouncing and re-work those spots. Social media marketing is now critical to any business success. It is the one place where businesses can capture regular audiences. The key to a competitive edge is targeting correctly, being as creative and engaging as possible, and keeping up on the latest tools and technologies. Amanda Sparks: Amanda Sparks is a professional marketer and blogger at Post Planner, GoDaddy, and Payoneer. She has been working as a marketer for seven years and is passionate about developing innovative and customer-friendly solutions for brand growth.